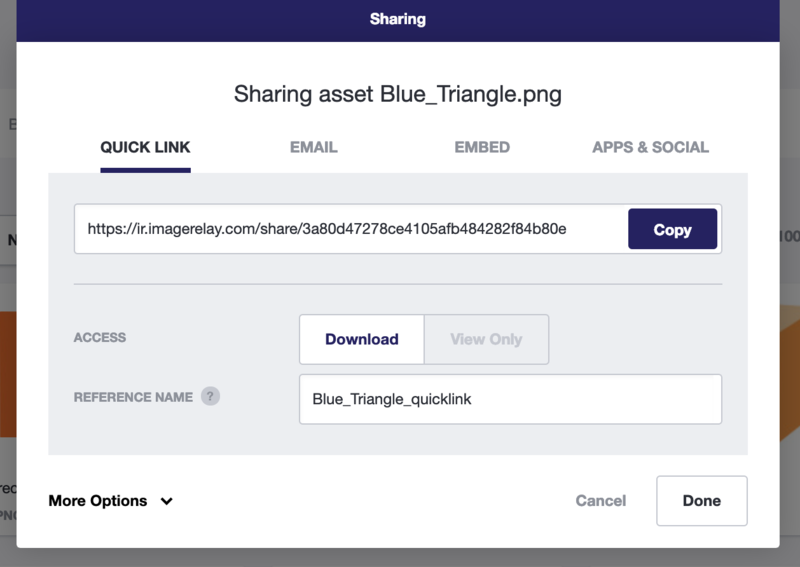 How to share a single file and optional share settings. 1. Locate the file you want to share. 2. 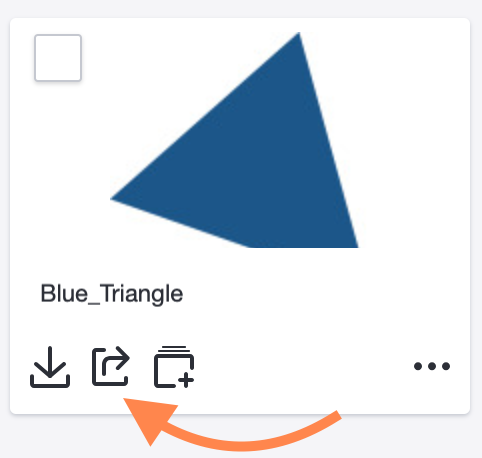 Click on the share icon on the thumbnail or in the detail view. 3. Copy the link that you see first to send to the recipient via your preferred communication channel. Access: Give the recipient the ability to Download the asset or View Only. Reference Name: Use this feature to keep track of what you share. The reference name will not show publicly, only internally in reports. Require Recipient Info: This requires the recipient to fill in first name, last name, email and company before downloading any file. Expires: Set an expiration date after which the link will no longer work. Custom URL: This allows you to customize your links URL. Please not that any spaces will be replaces with a dash ( - ) as URLs cannot have spaces.